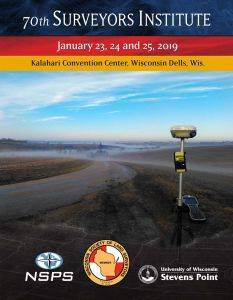 Please stop by our booths for some interactive demonstrations and to see the latest from DeLair, DJI, Microdrones, Trimble, Spectra, GeoSLAM and more. Seiler will have 5 booths at the show. For details on the institute/conference Click here for program book/pdf . Drop off your Instruments for Service/Repair! Seiler will also be accepting your gear for drop off at our booths during the show. Get your gear in shape for the upcoming spring season. Note: Equipment repairs will ship back to customer / or can be picked up at our Seiler Indianapolis Office. Customers should supply their shipping containers if available. Repairs could take 7-14 days, but Seiler will strive to get back to you or make available for pick up as soon as possible. For additional details contact us. Please do not leave your equipment unattended or in our booth without speaking to a Seiler staff member and receiving the proper paperwork. Questions – Email: [email protected] or call toll free: 877-444-6515 or 317-545-7090.